How to deal with the box across pages? I using the FOSI and the APP source edit for the box, but when the box across pages, we lost 2 line, can I add it in the source edit? thanks! Can I add the lines for the end/head of pages by update the source? Or could you give me any tips please? Re: How to deal with the box across pages? 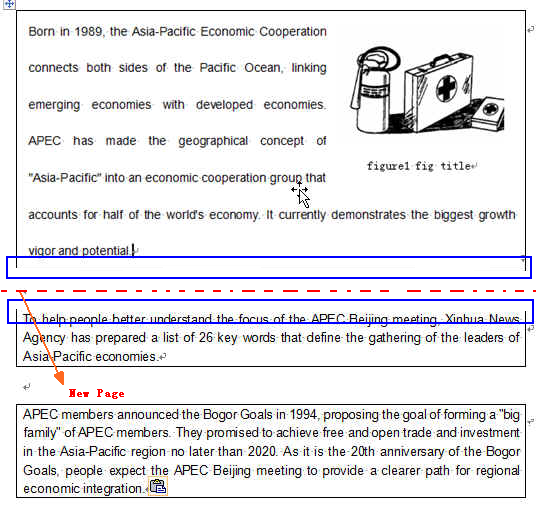 Its purpose was to indicate that the table is continued on the next page. If you are using DITA document types, then the .tmx file must be named custom.tmx and placed in the [productpath]\inputs folder.